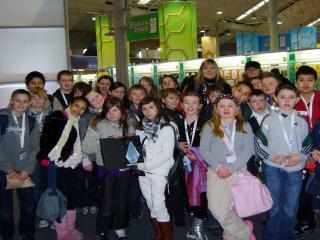 As part of a gardening competition, some of the pupils in 2nd and 3rd class visited the new 4Home store in Gorey. The children were photographed by the local newspaper as they chatted to the manager of the shop. 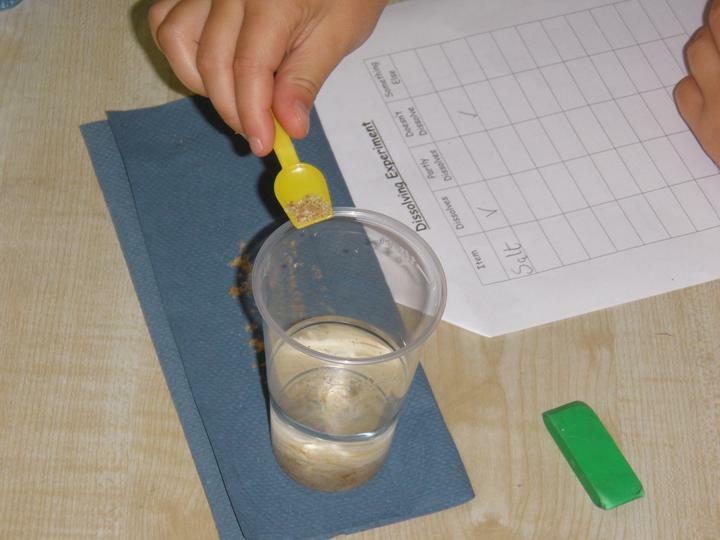 The school will be making a new garden in the next term and the children will be choosing the seeds, bulbs and ornaments that will go in it. We’ll post up photographs as soon as the garden starts to sprout! This is a short video of us practicing for the St. Patrick’s Day parade. We hope to see you all on the 16th March! 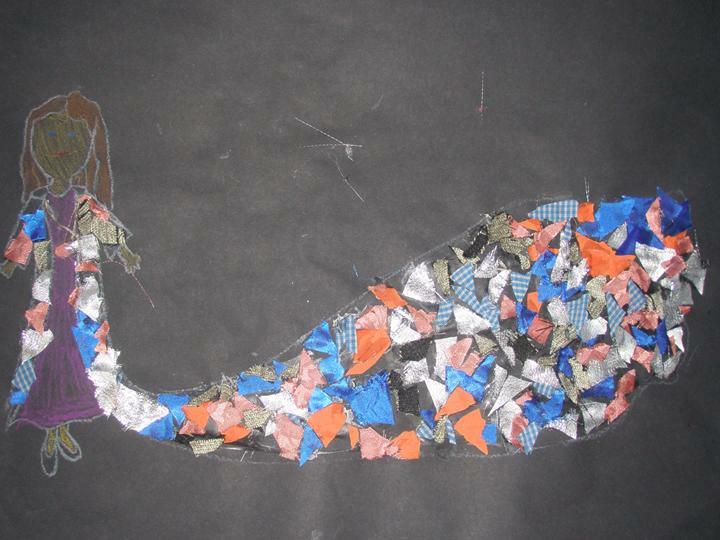 We are busy preparing our float for St. Patrick’s Day. Check out the video of our preparations! Next time you take a DART trip keep and eye out for the fabulous art work of Gorey Educate Together pupils, Aine Dunne and Sophie Ryle. Aine and Sophie were announced national winners of the UCD Conway Institute AccesScience Poster competition at the annual AccesScience 2008 event. The girls travelled to Dublin this week to the pretigious O’Reilly Hall where they received their prizes from RTE’s Pat Kenny. 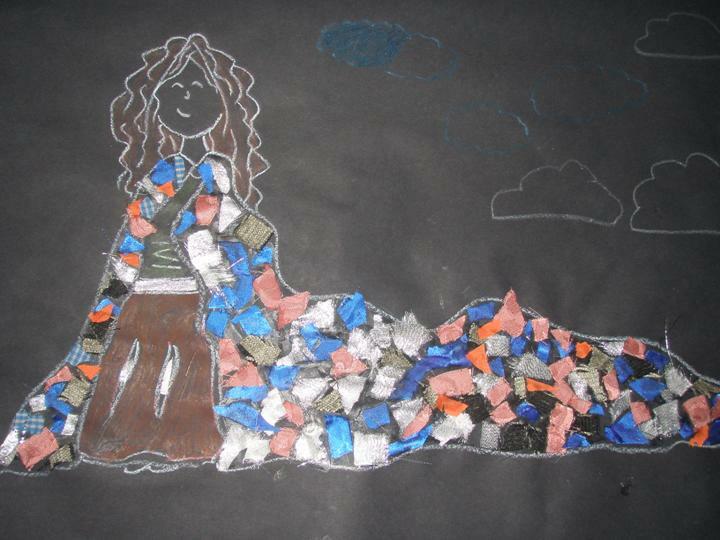 The poster competition, which is open to primary and secondary students, offered the girls the opportunity to combine their scientific interests and artistic talents to communicate this year’s theme of “Science In Our Lives”. 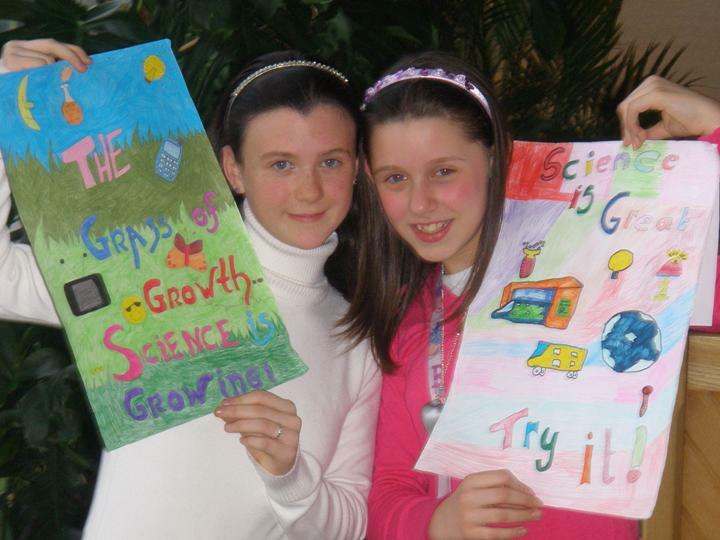 Fifth class pupil Aine, took first place for her poster entitled “Science Is Growing” while Sophie received third prize for her “Science Is Great- Try It”. Both posters will be displayed on DART trains and Stations where they will be viewed by over 100,000 commuters a day! Well done Aine and Sophie! 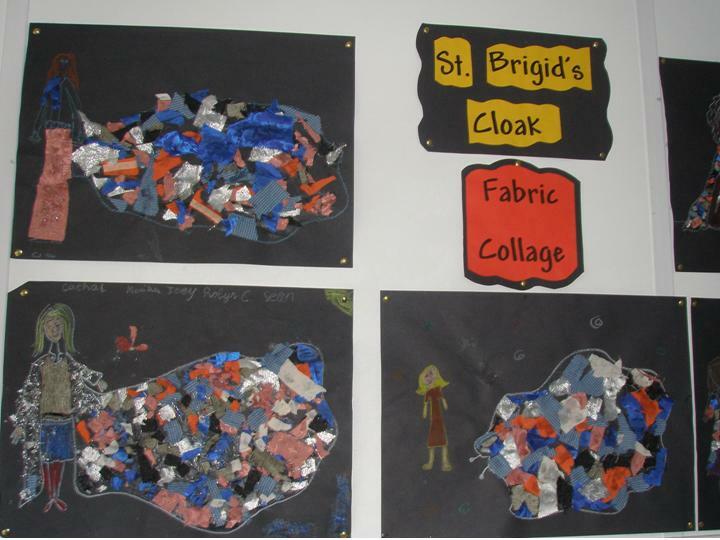 The pupils of 4th/th class worked in teams to create fabric collages of St.Brigid’s magic cloak. 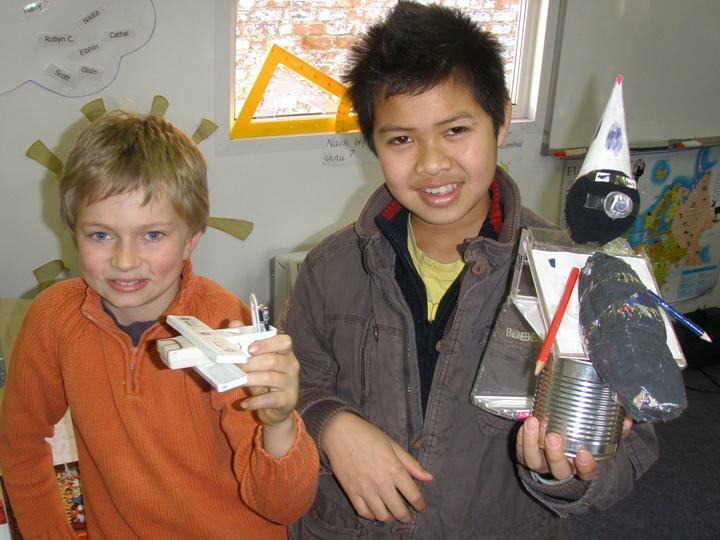 Two pupils from 4th/ 5th class recycled some junk material to make some super sculptures! 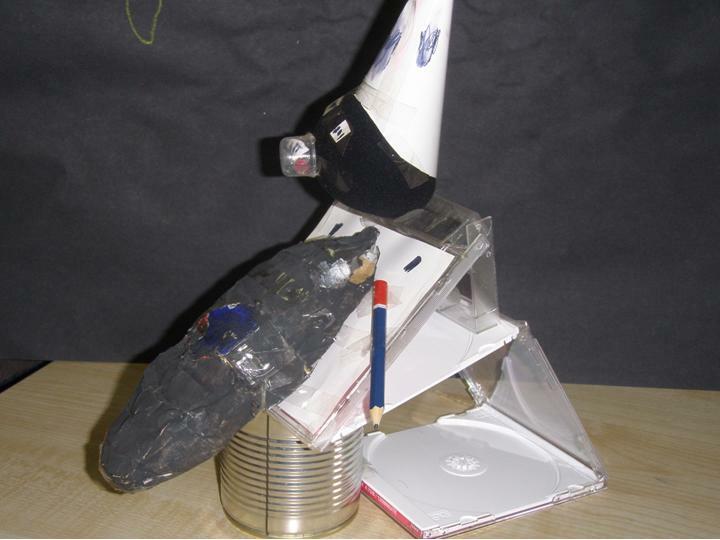 Ben created a interesting sculpture using old CD cases, pencils, bottle tops and re-used cardboard. 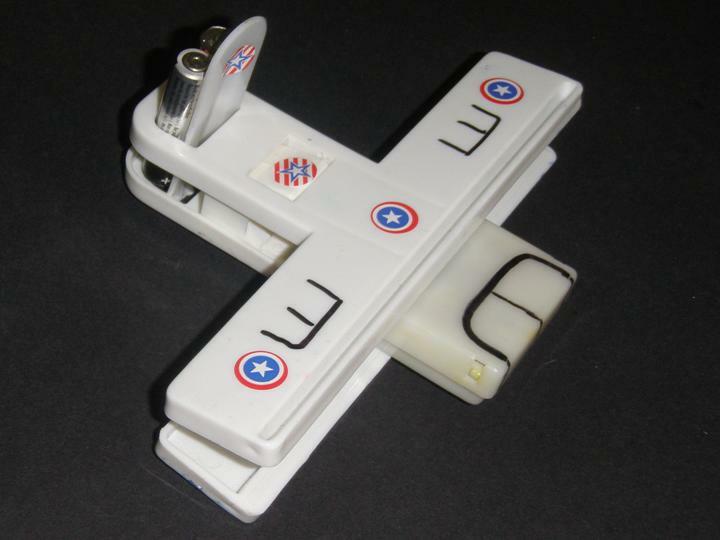 Joey used an old music box, a large paper clamp, some used batteries and his imagination to make his fighter plane. Tashi Delek! Happy Tibetan New Year! Losar is the most important festival in Tibet. Every year the people of Tibet take part in a three-day celebration with their families and friends. 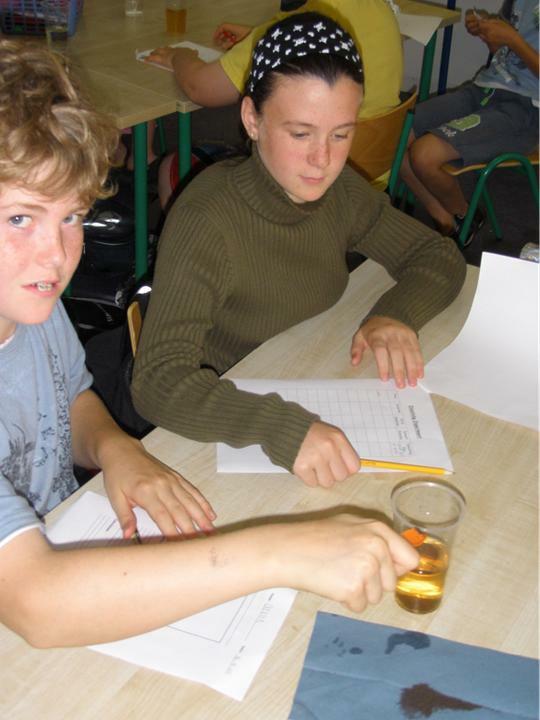 It is a chance to resolve problems and discard unhappy memories of the previous year. During Losar Buddhists great each other by saying “Tashi Delek”. Family gatherings, exchanging gifts and vsiting local monasteries are all part of the Losar celebrations. 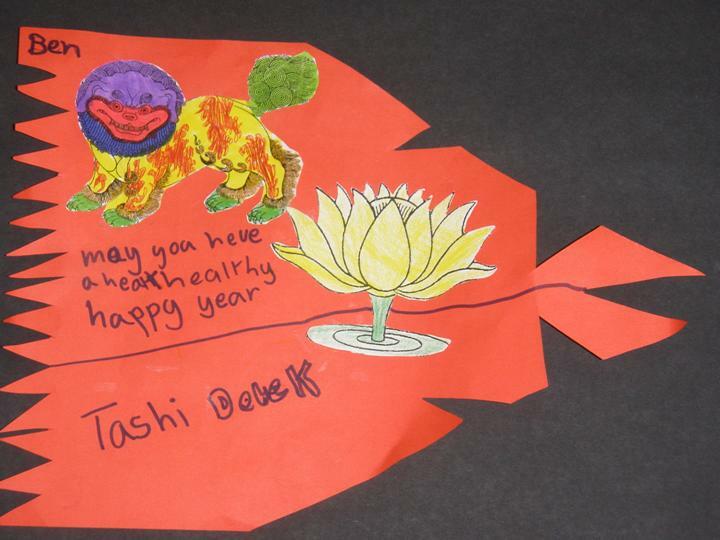 We celebrated Losar by making Buddhist prayer flags. For centuries Tibetan Buddhists have planted prayer flags outside their homes so that the wind will carry their prayers and wishes across the countryside. Prayer flags are said to bring happiness, long life and prosperity to the flag planter and all those nearby. 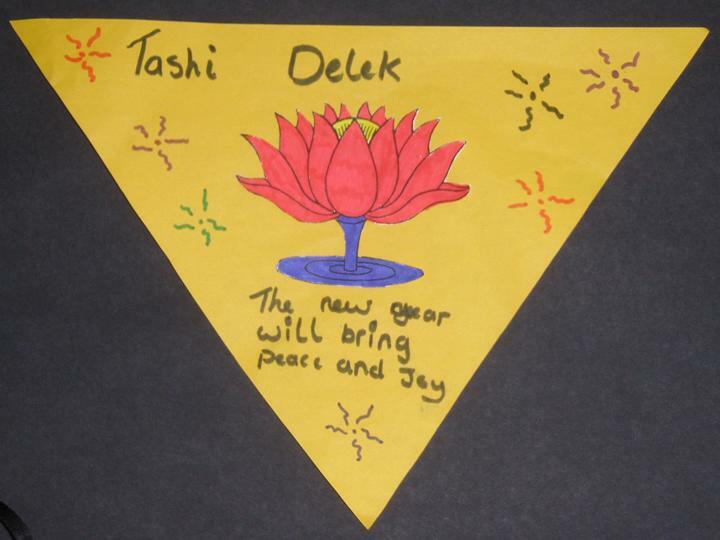 During Losar clolourful new prayer flags are made and hung outdoors for all to see. 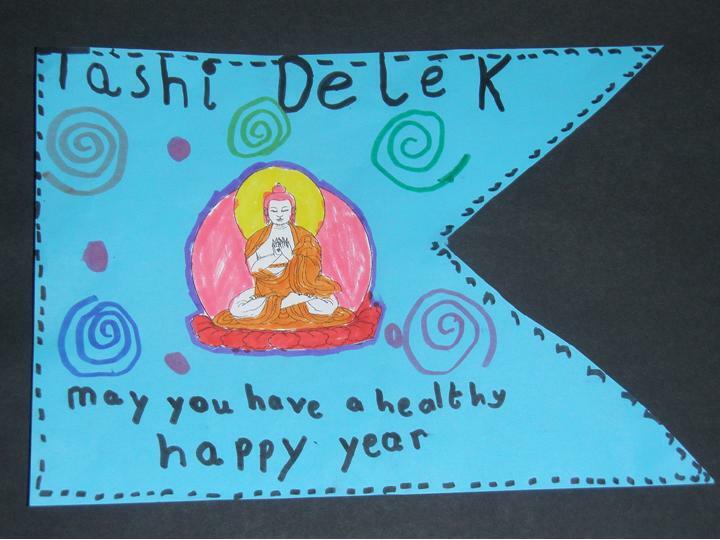 Our prayer flags have Buddhist symbols and special new year’s wishes. Swimming: Lessons for the junior classes are now complete. Swimming for Junior Infants/Senior Infants/First Class will be offered again during April/May. Optional swimming for 2nd, 3rd, 4th and 5th classes: Monday, 18th February, 2-3pm. Cost: €24 for four Mondays, includes one-way bus to Courtown. Please book and pay before the mid-term break. Hurling/Football coaching continues Wednesday mornings.Fire Safety: Second and third classes were captivated by Tony Kennedy’s recent talk. Tony works with the local fire service. He also distributed ‘Safety Team’ packs to the children. Quiz: Well done to the two teams who took part in the ‘Schools Quiz’ at the Amber Springs Hotel.A warm welcome to Leela, who joined Andrea’s class recently. Preparation for Gorey St. Patrick’s Day parade, Sunday 16th March: Last year the school had a super entry that was successful on several levels: it was a great piece of street theatre; the preparation got the whole school community, parents, relatives and friends involved; recycled materials were used; and, we won first prize in the group section. This year the parade’s theme is ‘Festival Music’ and to kick-start the preparations for the school’s entry Music Workshops have been organised. Jennifer Byrne, a local musician, will work with the children over the next few weeks getting ‘back to basics’ with music. The music workshops are being funded in part by the PTA and donations. 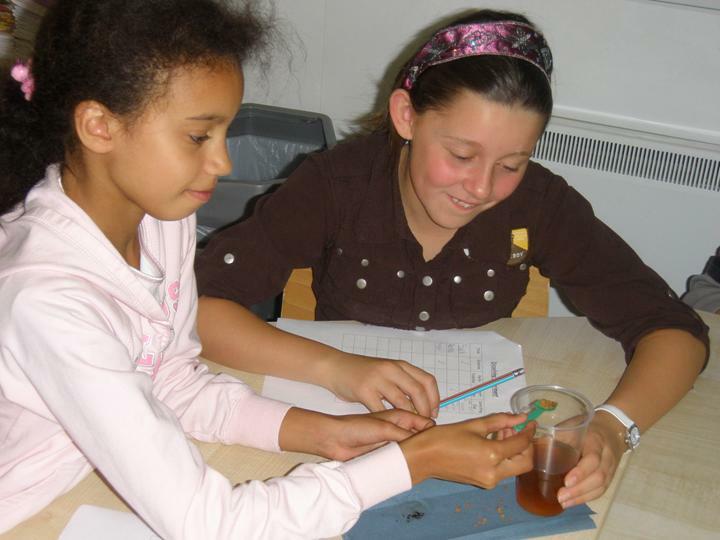 Extra funds will be needed for this school community project and we are currently looking at ways to meet this. 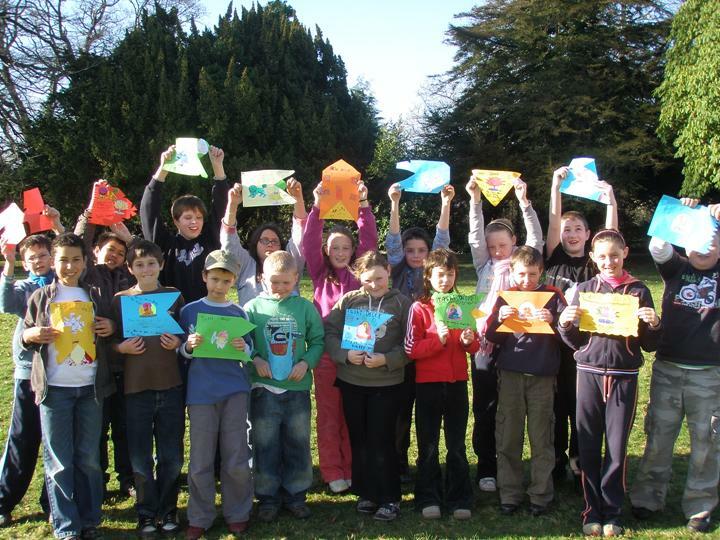 Two pupils from 4th class spent the last couple of months creating videos. Robyn’s story was about Christmas and Barry’s was about a war between humans, aliens and homework! Check them out below. 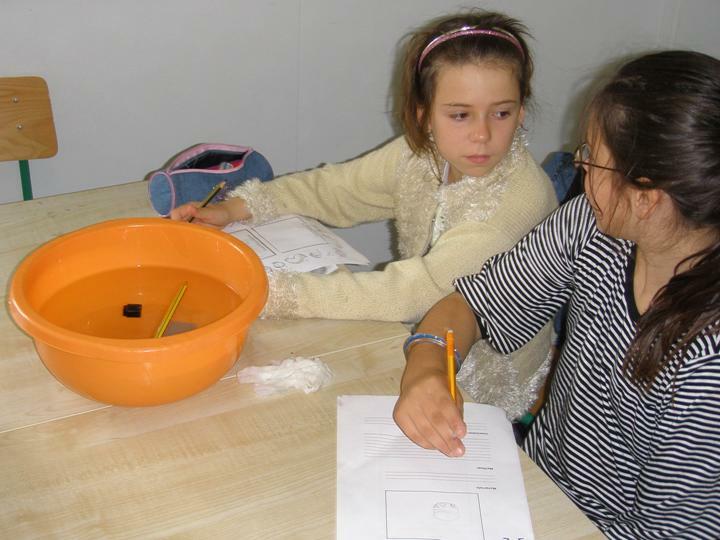 Last term we learned about the properties of water. 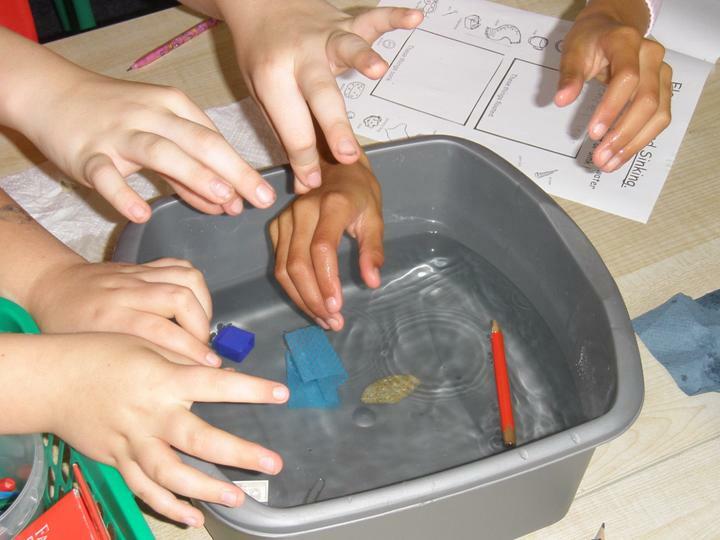 We investigated sinking / floating and dissolving. 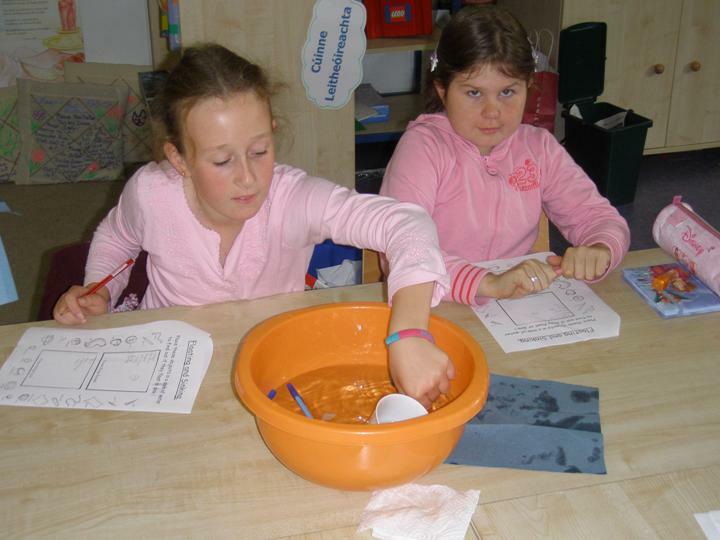 Experiments with water are fun…and very messy!